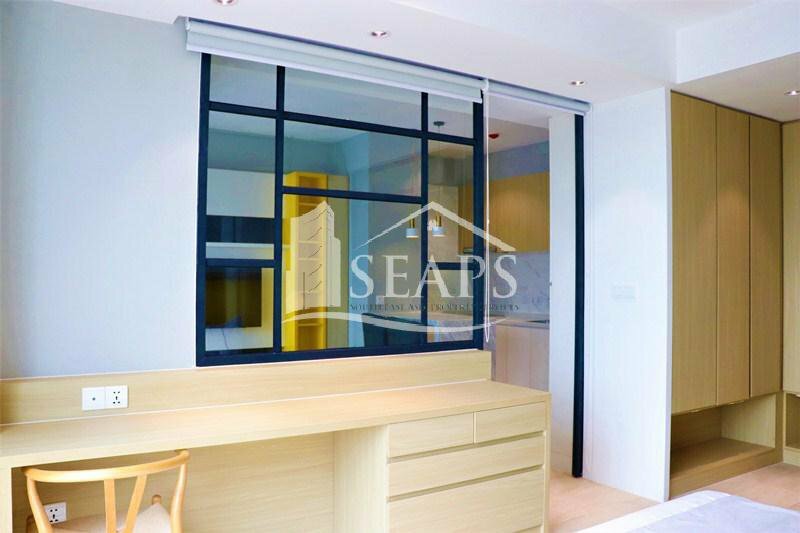 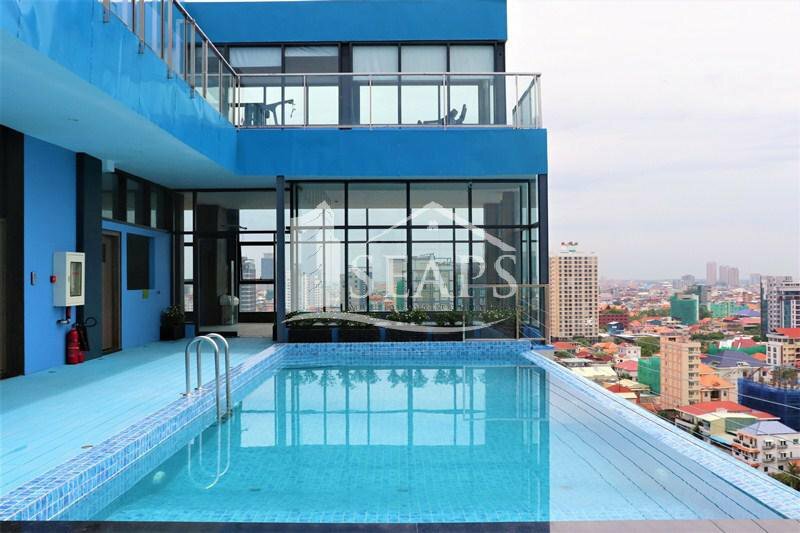 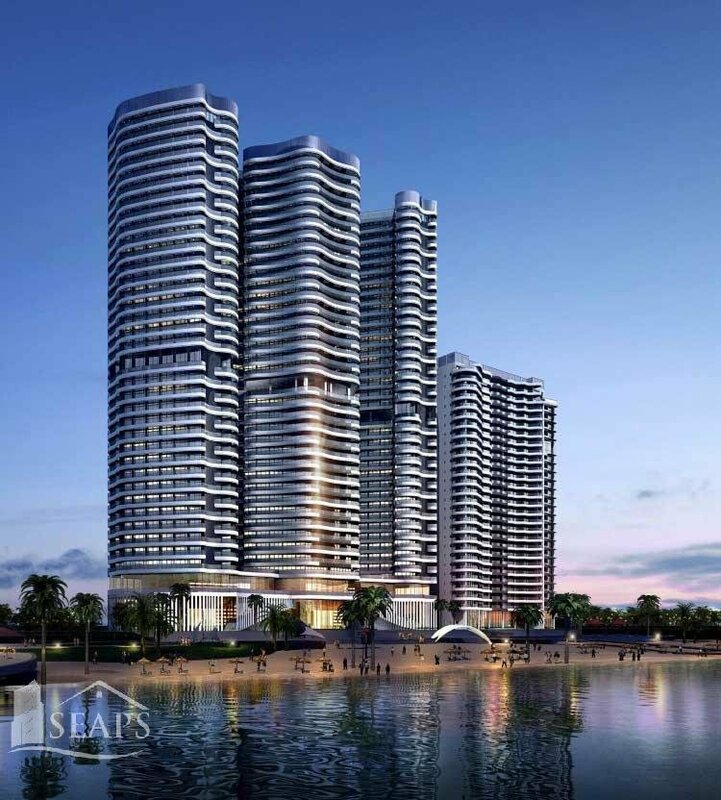 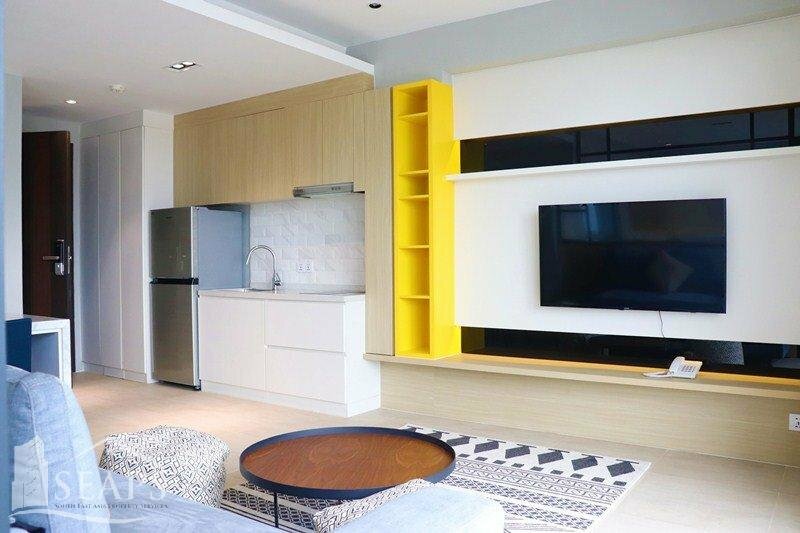 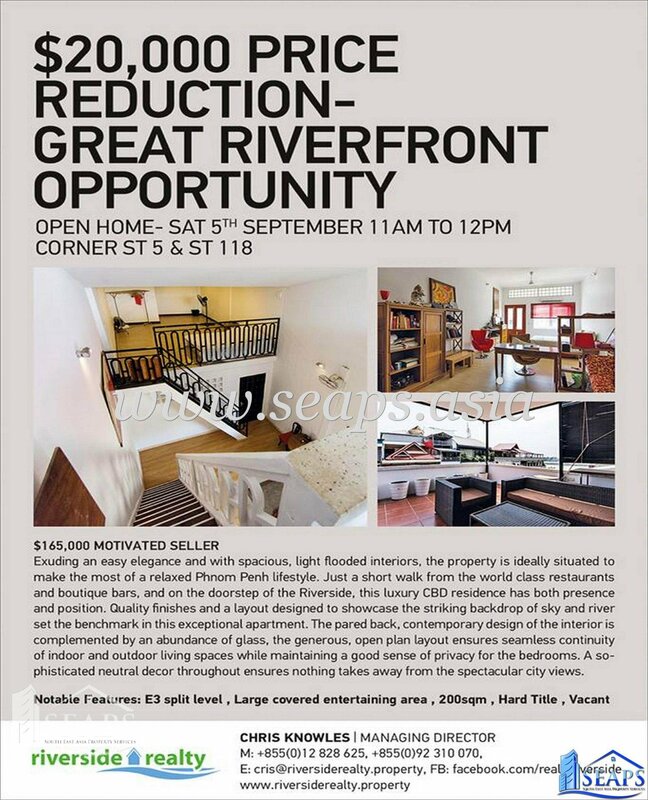 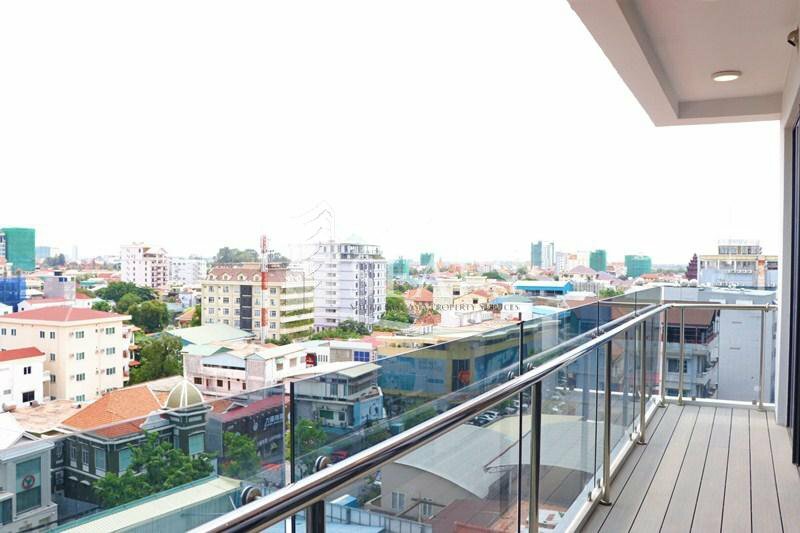 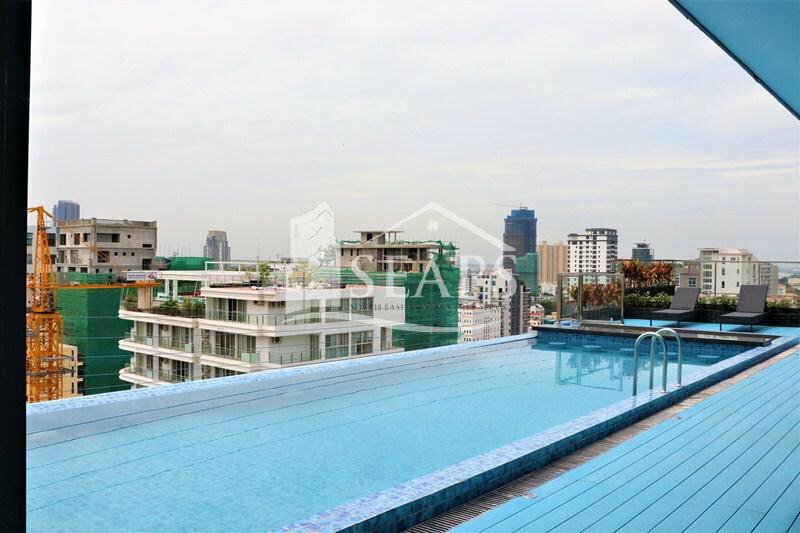 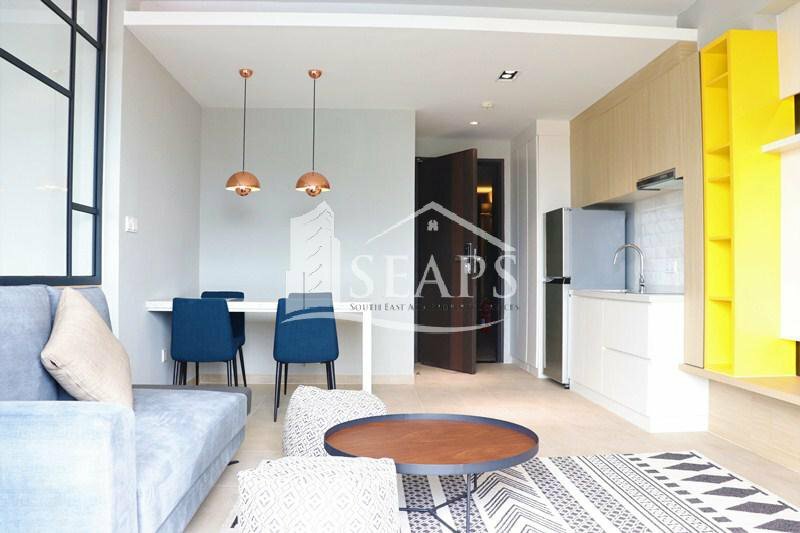 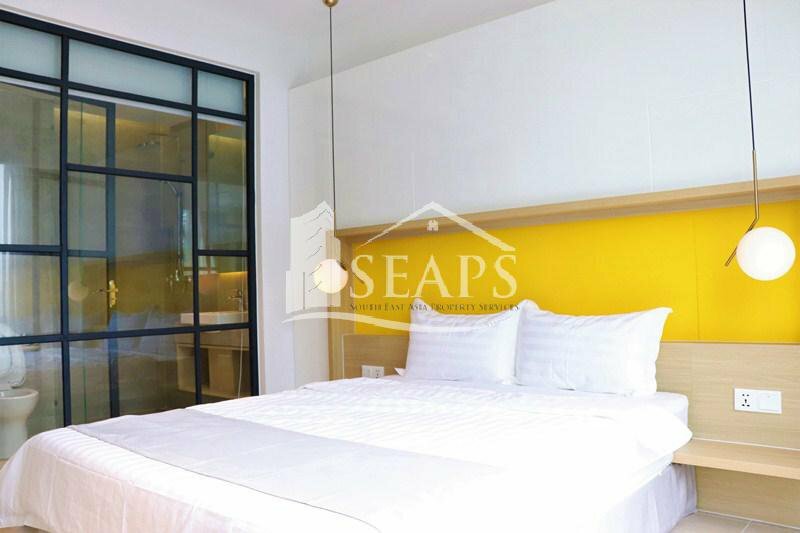 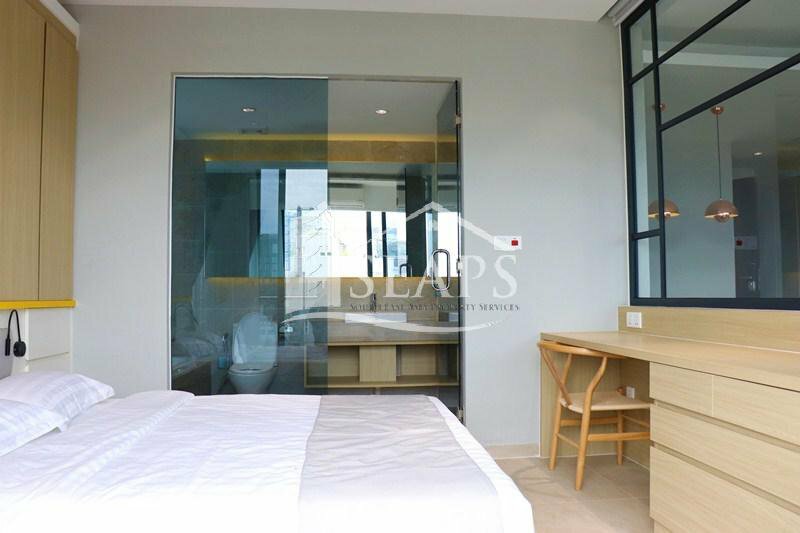 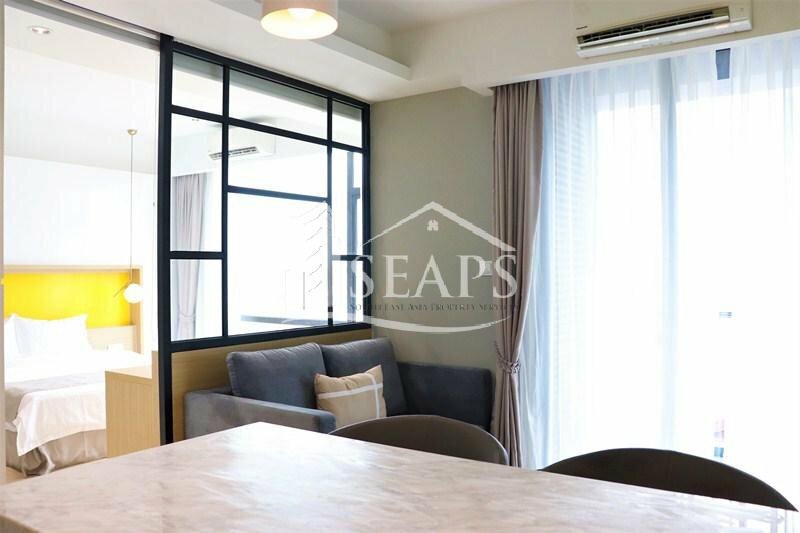 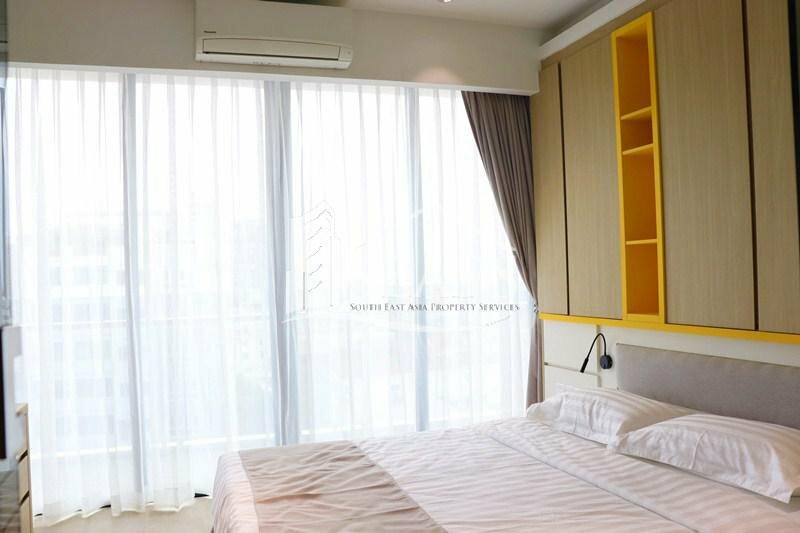 A stunning, fully furnished apartment is now available for sale, in central Phnom Penh. 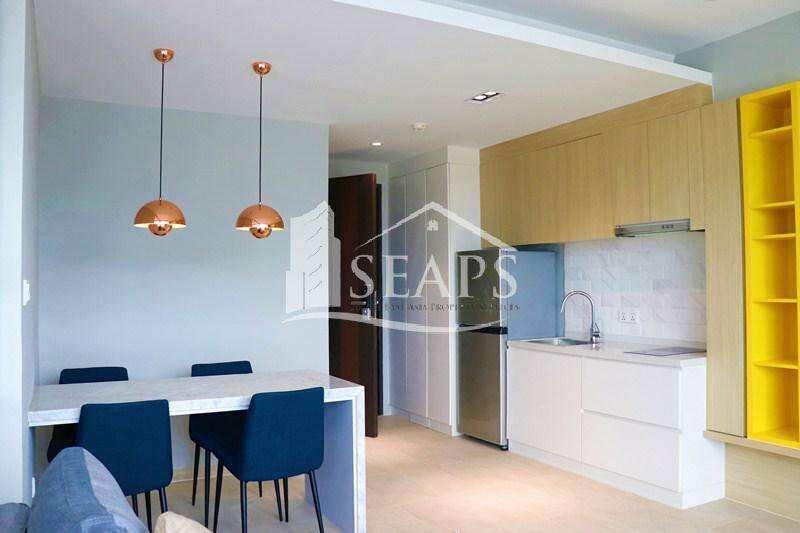 The property is fully and contemporary decorated and equipped, paired with excellent spacing from each living space to the next. 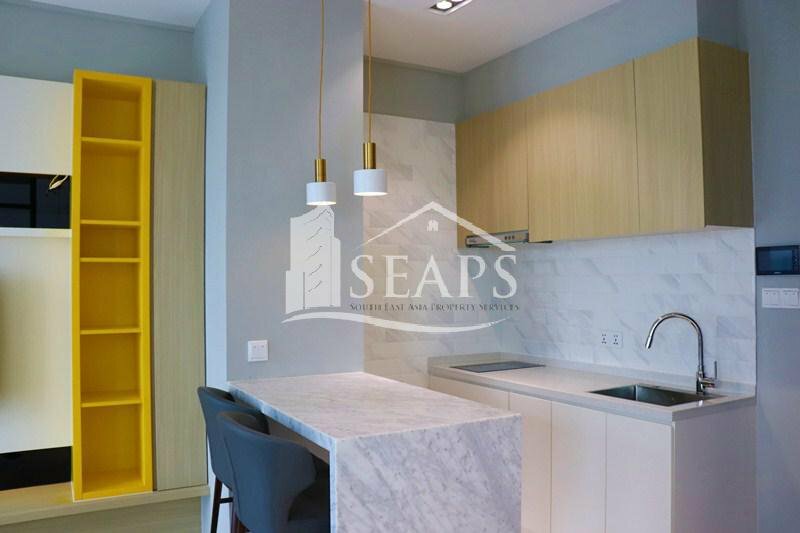 The kitchen area features custom-fitted cupboards, drawers, and a well-placed marble, dining table good for four people, together with two stylish lighting fixtures overhead. 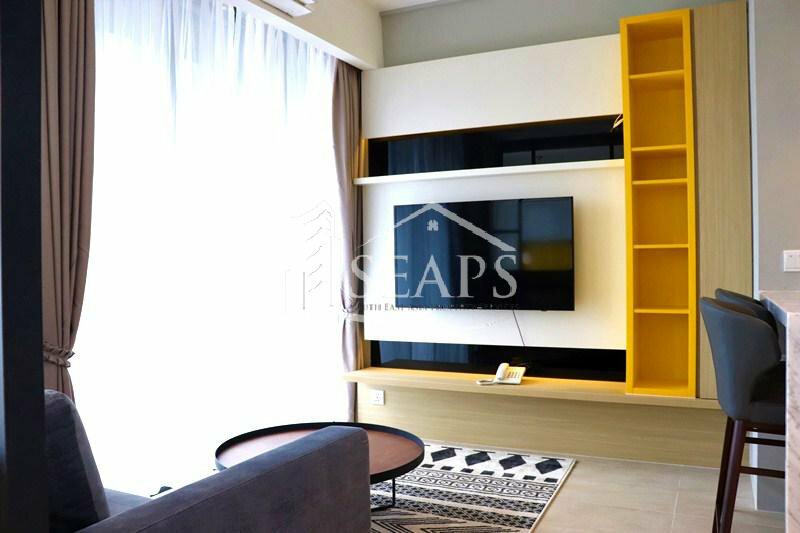 The sitting room is right next to the kitchen, with a single gray couch, a table, a carpet, flat screen television,and air conditioning unit. 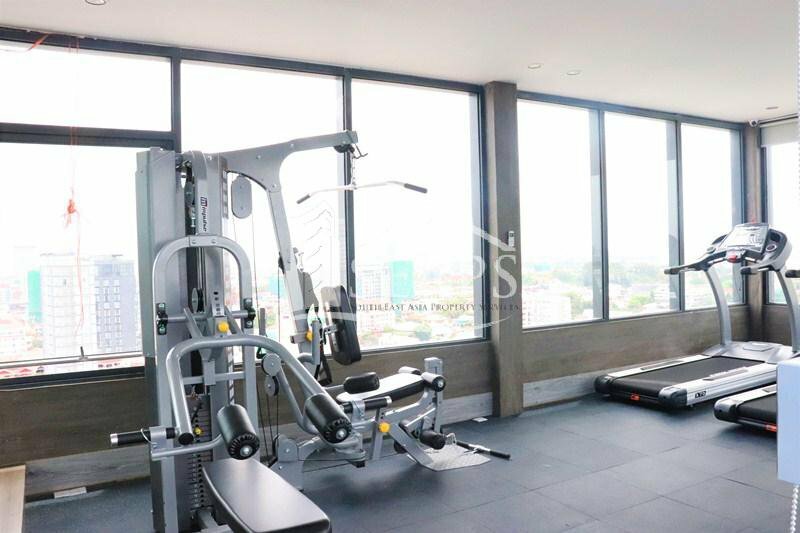 Apartment building services and amenities included a reception lounge area, elevator service, rooftop, swimming pool, gym, internet, and Cable Tv, secured parking space and 24 onsite security.